Recent Arrival! Priced below KBB Fair Purchase Price! WE CAN HELP YOU SAVE THOUSANDS, SPECIAL OF THE WEEK, LEATHER, Vehicle only had One Owner, LOW MILES, Air Conditioning, AM/FM radio: XM, Automatic temperature control, CD player, XM Satellite Radio. Odometer is 64713 miles below market average! 20/27 City/Highway MPG http://www.kbbreport.com/w846d Awards: * 2009 KBB.com Best Resale Value Awards For more information, visit www.kbb.com. Kelley Blue Book is a registered trademark of Kelley Blue Book Co., Inc. 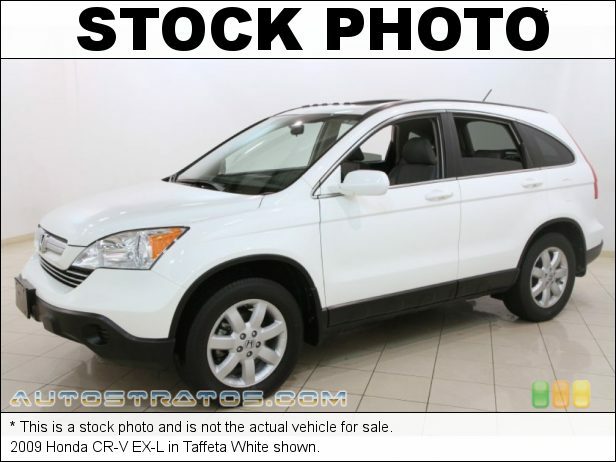 Reviews: * Few vehicles do as many things as well as the 2009 Honda CR-V. As practical as a backpack, this benchmark crossover is an easy, stylish one-size-fits-most car choice. Source: KBB.com You'll NEVER pay too much at John Eagle Acura!